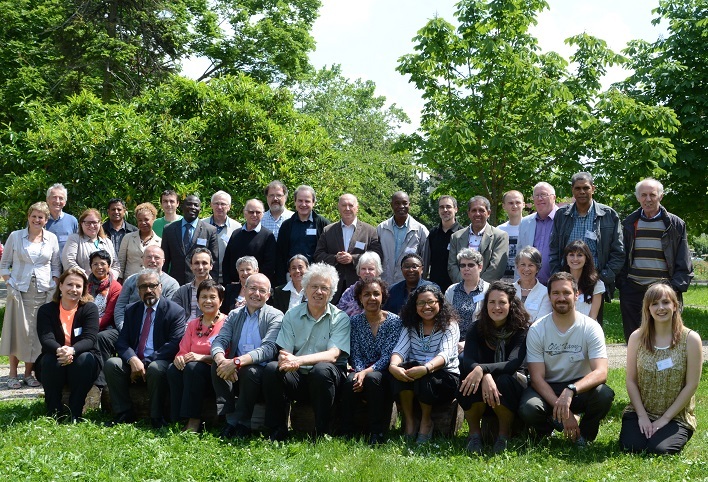 From 6 to 8 June, members of ATD Fourth World from four continents met for its Annual General Meeting to approve the annual report, to elect a new International Leadership Team, and to take stock of international actions carried out between 2013 and 2015. Mark Hogan, founding member of the Board of ATD Ireland attended the meeting on behalf of all of us in Dublin. The 2013 and 2015 period was globally notable for decisions affecting the future of humanity such as the United Nations’ adoption of Sustainable Development Goals and the Paris Agreement on climate change. ATD Fourth World contributed extensively to both of these international debates, aiming to bring to the fore the suffering and the hopes of people living in poverty throughout the world, based on their lives and their reflections. To influence the 2030 Agenda, particularly its choice of the aim to “Leave no one behind” and its first objective: to end poverty in all its forms everywhere. Through ATD’s proposals for the “COP21” Climate Conference, to make heard the voices of people living in poverty who suffer the hardest and longest from the consequences of climate change even though they in fact have a very low ecological footprint. It is now widely recognized that efforts to overcome extreme poverty and to fight against climate change are interconnected. To raise awareness about the Guiding Principles on Extreme Poverty and Human Rights, adopted by the Human Rights Council in 2012, by creating a handbook “Making Human Rights Work for People Living in Extreme Poverty”. ATD produced this training tool in partnership with Franciscans International. At a time when the world is facing many challenges — economic, social, financial, human migration, climate change, terrorist threats, and others —ATD Fourth World renews its commitment to help discover or better understand how extreme poverty is violence and how it forces into silence those who experience it. All their efforts — their acts of resistance and their attempts to build peace — are made invisible or incomprehensible. Without being close to people living in extreme poverty, we will remain ignorant of their life experiences, their thoughts, and their aspirations. Through gatherings, cultural activities and Merging Knowledge between people living in extreme poverty and people from other walks of life, ATD aims to make known the injustices of poverty and to transform societies so that no one is left behind. In 2017, ATD will launch a public campaign to meet this challenge together: to end the silence inflicted by extreme poverty and to find ways of creating peace. This campaign will be presented to the public by the next International Leadership Team, whose mandate starts on 1 January 2017. The Annual General Meeting approved the nominating committee’s recommendation to extend the term of Isabelle Pypaert Perrin as director general and to name as deputy directors Bruno Dabout, Alvaro Iniesta Pérez and Martine Le Corre. The Annual General Meeting also renewed the mandates of ATD’s President, Cassam Uteem, and of Vice President Janet Nelson. In addition, it appointed Jacqueline Plaisir as a second Vice President. The following new members were elected to the Board of Directors: Zackaria Konsimbo, foreign affairs counsellor (Burkina Faso); Pierre-Yves Madignier, engineer (France); Thomas Mayes, ATD activist (United Kingdom); Marie-Luisa Rojas, teacher (Guatemala); Magdalena Sepulveda, Senior Research Fellow at United Nations Research Institute for Social Development (Chile); and Bruno Dulac, Treasurer (France).